Jack and Annie are ready for their next fantasy adventure in the bestselling middle-grade series-the Magic Tree House! Cannon fire! 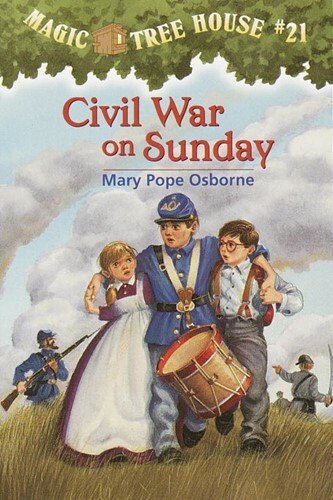 That's what Jack and Annie hear when the Magic Tree House whisks them back to the time of the American Civil War. There they meet a famous nurse named Clara Barton and do their best to help wounded soldiers. It is their hardest journey in time yet-and the one that will make the most difference to their own lives! Visit the Magic Tree House website! MagicTreeHouse.com From the Trade Paperback edition.